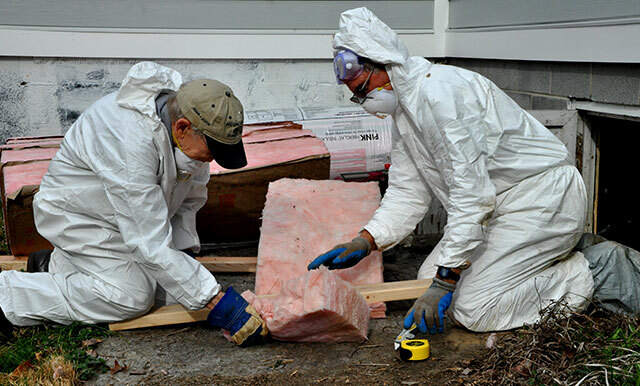 Repairing homes requires careful attention to detail. From start to finish, we partner with our talented volunteers to make the most of everyone’s time and resources. 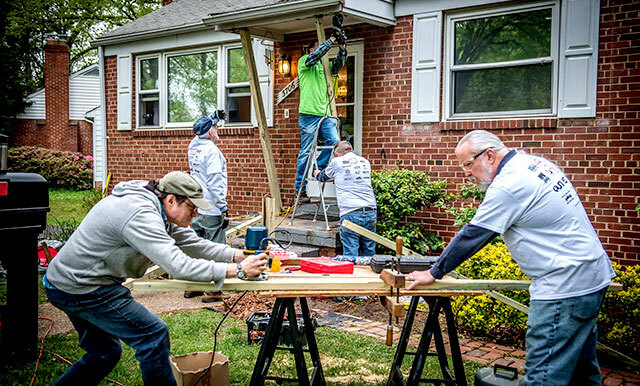 Our process ensures each home and each family gets the repairs they need. Homeowners find out about us through social workers, health care providers, faith-based groups, other nonprofits, friends, neighbors and family members. Homeowners must submit an application, along with proof of income and ownership. We review each application carefully and qualify those who are eligible. Staff members and our most trusted volunteers visit each home to identify all health and safety hazards. Then, our team develops a detailed statement of work to address the necessary repairs. 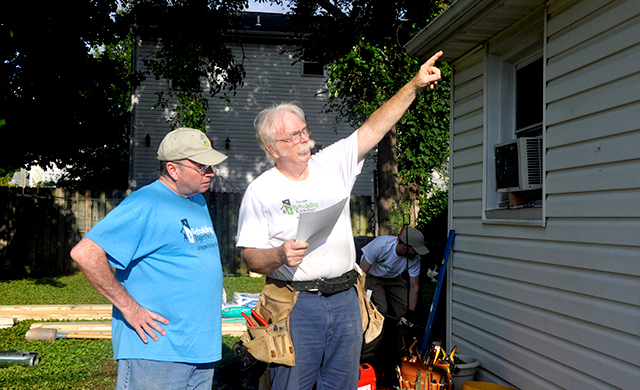 We find and train volunteers to work on each home. At the same time, we raise funds for materials, supplies, permits, plans, and professional contractors. 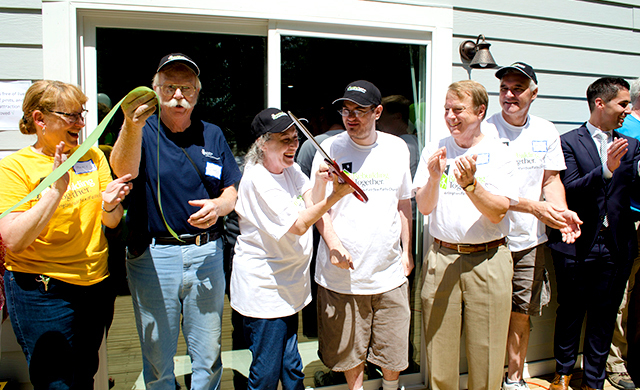 We match homes with volunteers, based on what the home needs and what skills volunteers bring. Our volunteers get the tools, materials, and training they need to succeed. Some projects take a “layered” approach with staged repairs by multiple teams. Every home we repair. Every nonprofit we help. Every community center we improve. Those are our victories, and they’re worth celebrating! 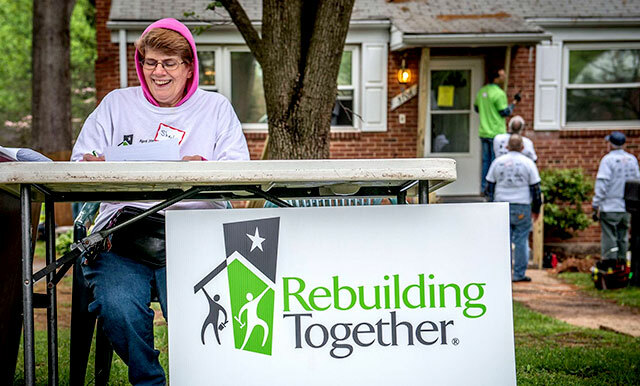 We track and report results based on Rebuilding Together’s 25 Health and Safety Priorities. And we take time to celebrate with our homeowners, partners and volunteers, hosting small lunches and a spring reception. Don’t hesitate to contact us for more information about our services, partners or upcoming events.